Super Mario Run will finally be released on Android in March, Nintendo announced today. Super Mario Run, Nintendo’s first game for mobile devices, launched Dec. 15 on iOS after debuting at an Apple event in September. 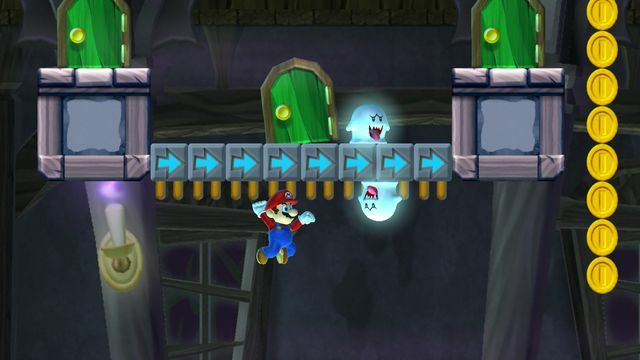 It is played solely by tapping on the touchscreen of a smartphone or tablet: Mario runs by himself, and the player must tap when they want him to jump. The game features four modes: World Tour, Kingdom Builder, Toad Rally and Friendly Run. Nintendo describes it as “free to start” — players can download Super Mario Run and play three levels before they have to fork over $9.99 to unlock the rest of the game. A page for Super Mario Run is live on the Google Play Store; interested parties can “pre-register” with their email address to be notified when the game is live.